Want to join Twitter but first need to get up to speed on the current functions and insider language? This quick list of the most popular and useful features will get you from beginner to pro in no time. From your Twitter home page or a user’s Twitter stream, clicking on the time a tweet was posted (e.g., “1 minute ago” or “2 days ago”) isolates the single message on its own permanent URL. A tweet that begins “@TwitterName” is called a reply. It is only shown in the stream of people who follow both the sender and the addressee. 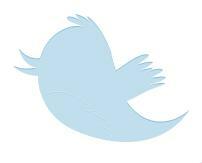 A mention is a tweet that includes a “@TwitterName” anywhere within the body of the tweet. Both replies and mentions of a user’s Twitter name can be displayed by selecting “@TwitterName” from the right-hand navigation of the Twitter home page. Direct messages are private messages from one user to another. You may only direct message (DM) someone if they are following you. There are several ways to do this. You can locate their name in the DM drop down menu, go to their profile and choose “message” from there, or use the format “d TwitterName message here”. A retweet is a repeated tweet, usually published by someone other than the author of the original tweet. It is most commonly seen in the form “RT @TwitterName [Message]” while some users prefer to use “via @name” or to place the attribution at the end of the tweet. However, the retweet feature is being redesigned by Twitter, so this may change in the near future. Optimize your tweets for retweets by making them short enough to include “RT @TwitterName:”. In the current system of retweets, it’s not uncommon to change the text minimally by omitting or abbreviating words. Retweets raise the visibility of a user’s Twitter profile and make it more likely to be trusted in the future by other Twitter users. As tweets are officially restricted to 140 characters, URL shorteners come in handy when including links in tweets. There are many URL shortening services available, and each performs its task differently. Certain URL shorteners have been found to be more retweeted than others. Twitter Lists allow users to categorize the users they follow and to easily follow groups of like-minded users. Find out what lists you’ve been included on by clicking the link “listed” that appears next to the link to “followers” in the right-hand navigation of the home page. Trending Topics, listed in the right-hand navigation of the Twitter home page, are the most talked about subject on twitter. News events and memes often end up as trending topics. Use square brackets [ ], angles < >, parentheses ( ), or asterisks * * to denote that the action or insights within are part of your internal monologue or private actions. Examples include “Just failed my test (head desk)” or “Look at these delicious cupcakes. *want*”. Search Twitter by using the search box with a magnifying glass on the right-hand navigation of the home page or through the URL http://search.twitter.com. Resulting tweets are from unprotected (public) users, while tweets from Twitter users with private accounts will not show up in search results. Search engine Bing has also launched Bing Twitter Search and Google plans to release a Twitter search feature as well. Twitter is some ways is much better than blogging. I love to Twitter my everyday activities on my friends and relatives.